David Bowie's first-ever recorded demo track has been unearthed in an unlikely place — an old bread basket. The tape in question features Bowie's vocals on a recording of a song called "I Never Dreamed" with his first band, the Konrads. At the time, Bowie was still going by his given name of David Jones. 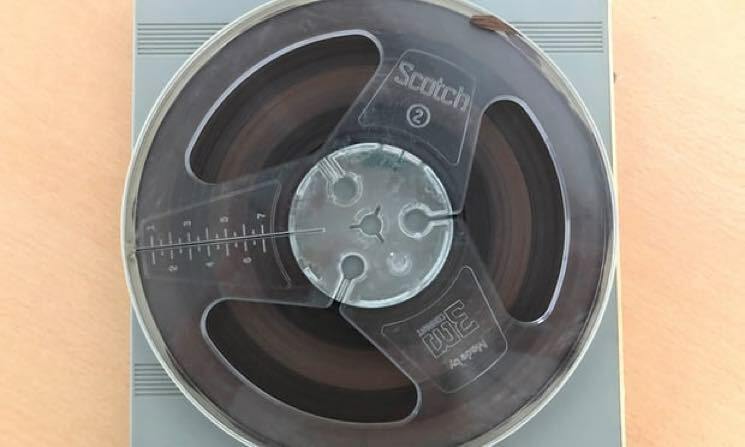 The tape was recently unearthed by the Konrads' drummer and manager, David Hadfield, who found the tape at his home in a bread basket that belonged to his grandfather. Along with the tape, he found booking forms, photographs, promotional material, letters and bills. Eric Easton — the Kondrads' agent and manager of an obscure rock band called the Rolling Stones — initially booked Hadfield and co. to cut a demo at RG Jones in Morden in 1963. "We had decided that we would do a couple of guitar instrumentals and one original song," Hadfield told The Guardian. "I chose 'I Never Dreamed' as it was the strongest, the other two were a bit weak. I also decided that David was the best person to sing it and give the right interpretation. So this became the very first recording of David Jones singing 55 years ago." It is apparently the only recording that features Bowie as the lead vocalist for the Konrads. Decca turned down the initial demo, and when the band returned to audition again, Roger Ferris was the lead vocalist and Bowie was relegated to a backing voice. The recording and the other Konrads memorabilia is slated to go to auction this September via Omega Auctions. The "I Never Dreamed" tape is predicted to fetch £10,000 (approximately $17,260 CAD). For fans looking for slightly more reasonably priced Bowie collections, the Loving the Alien box set will be out on October 12 via Parlophone. It features remastered versions of his albums from 1983 to 1988, as well as plenty of new bonus material. You can also get a free preview of the recovered demo by listening to a clip of "I Never Dreamed" below, courtesy of the auction house. Vinyl copies of David Bowie's LPs Labyrinth, Hunky Dory, Aladdin Sane, The Rise and Fall of Ziggy Stardust & the Spiders From Mars and self-titled are available through Umusic.